A recent Sunday started sunny. It got better with a surprise invite to a local cafe for a full English with my Ma & Pa.
Post-breakfast my wife and I head home for a spot of DIY while my parents go for a wander around the West Kirby Marine Lake to walk of some of the calories accrued during our morning repast. I'm neither a fan of or accomplished at do-it-yourself so I was relieved to be offered an escape route from my task list from an unlikely source. To be honest being called away was probably a good thing as I would have only made a hash of those tasks and had to pay someone to come and fix up my shoddy attempt at plumbing. 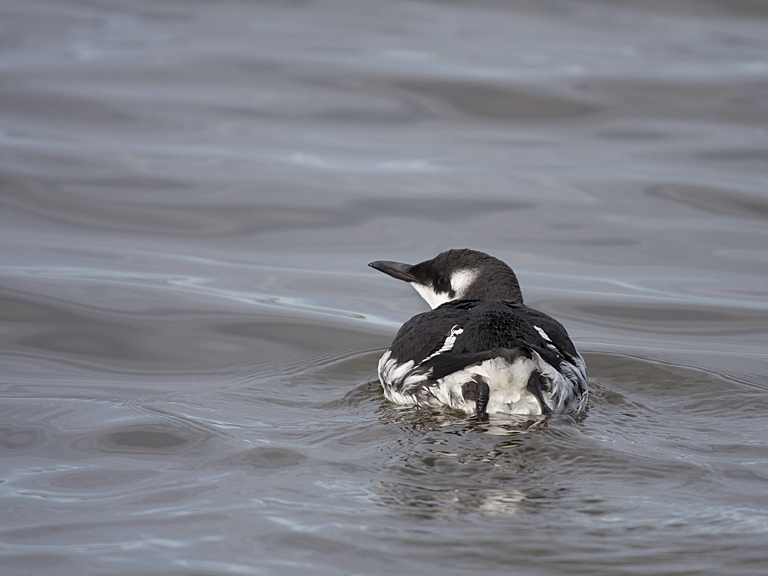 I was being saved time, effort (possibly injury) and embarrassment by a Guillemot. My dad had encountered one swimming about the lake and had photographed it then photographed the review screen of his camera with his phone before sending me the image as a picture message. Tool box was dropped and camera bag grabbed and I was out of the door and down to the lake in no time at all. 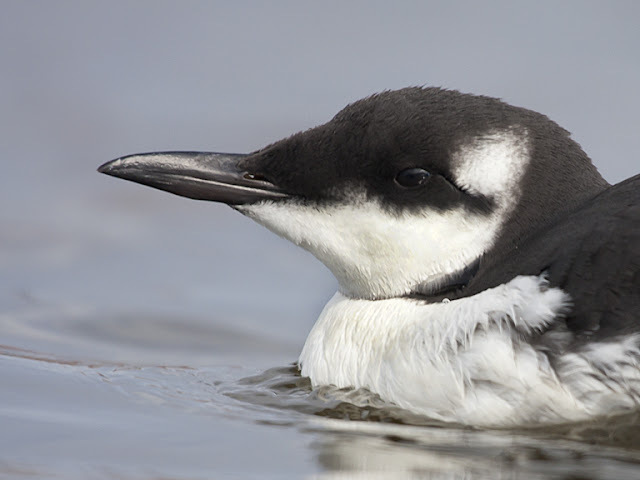 Guillemots nest in large cliff based colonies in remote and sometimes off-shore places. They winter at sea seldom coming to shore so one this easy to photograph was not to be ignored. 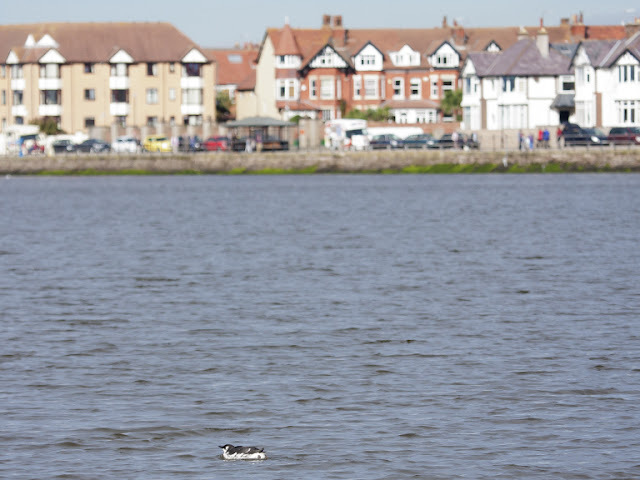 It did look a little unusual seeing a pelagic bird on a boating lake next to a Victorian seaside village. We were able to get lots of pictures of our Guillemot as it fished in the calm waters of the lake. 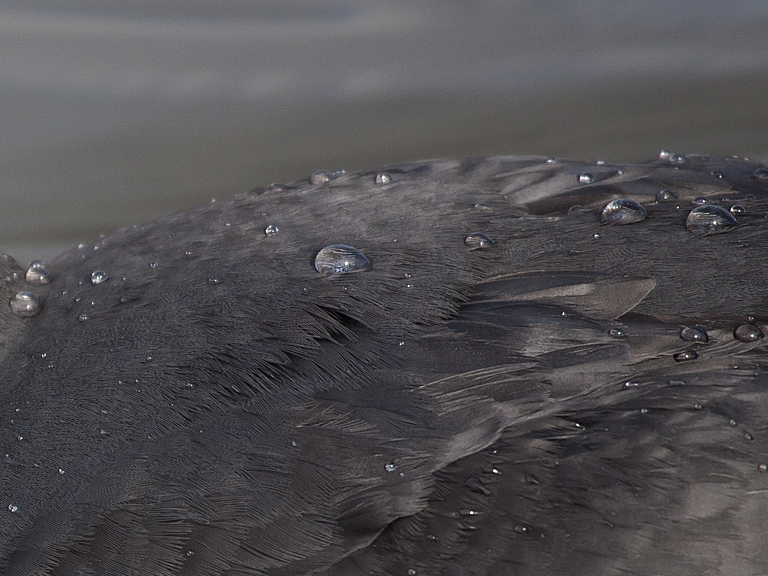 When it resurfaces after a dive droplets of water remain on the feathers of its back. They sit there until the bird rides a wave then they run off the torpedo-shaped body catching the sun as they go. Our bird paddles about while dozens of people wander around the lake. Some stop and look, some ask me what our unusual visitor is. I hear peoples guesses as to it's identity. Some are accurate, others wildly out. The "Penguin" is oblivious to us all. It seems quite chilled out. It is here that the story takes an unexpected and disappointing turn. Gilly decides to leave us and return to the open sea. 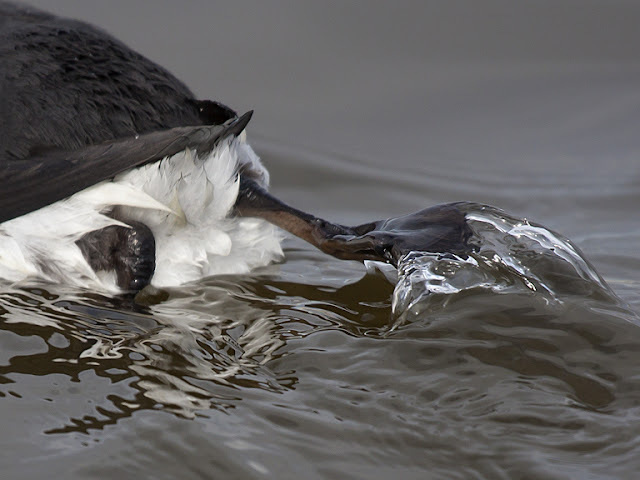 It takes a good splashing run up with pointy wings flapping but it can't get airborne. It seems that all is not well with our Gilly. I figure that it is exhausted from riding out recent storms further off shore. 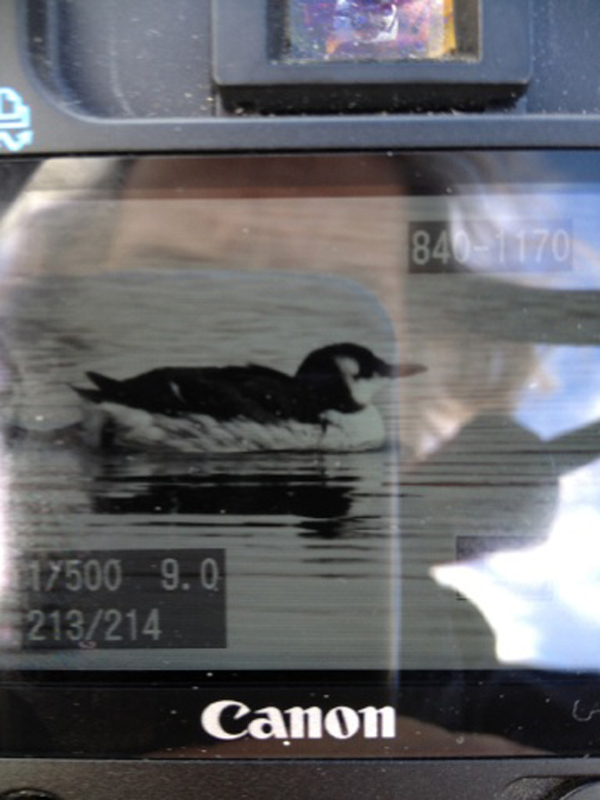 Perhaps it had drifted in to the Lake and hung around trying to feed itself back up. We wonder what to do. We can't get it while it is on the water, but we feel that we owe it after getting so many pictures of it. Soon Gilly comes to the walkway that encircles the lake and clambers out. This was a total surprise. 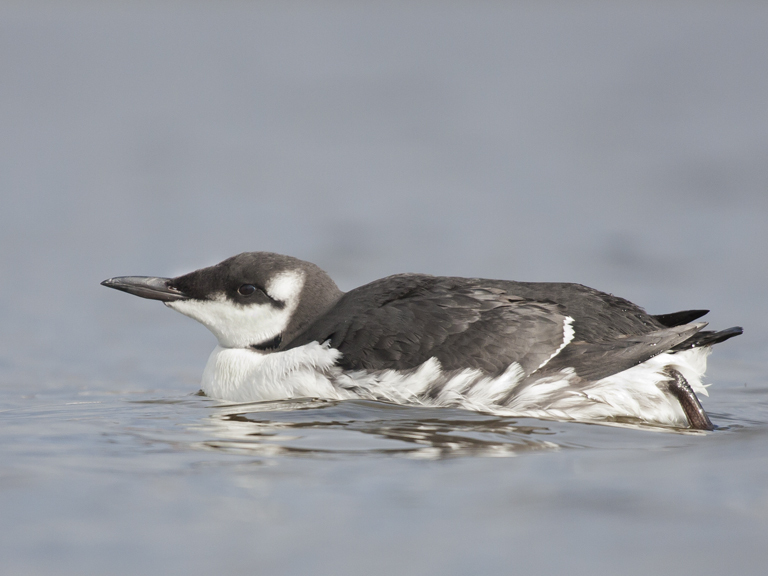 It is very unsteady on its feet (even by Guillemot standards) and we decide that we have to take this bird into care. Gilly doesn't see that we are trying to do it a favour and gives me a right good pecking as I carry it back to the prom. As I hold it in my hands I can feel nothing but breastbone on its front. This bird is seriously under-weight. It is placed in a box procured from the concerned staff at the ice cream kiosk. We keep it overnight, before an early morning visit to the local vet. Emergency rations and a lot of TLC are given and I'm promised a call if Gilly gets well enough for me to take it for release. Sadly that call never comes. It took me a while to decide to share these pictures. It felt a bit odd using pictures of a bird that I knew had perished.